Paper accepted in SODA 2019 – A.S.A.R.G. Our summer efforts have paid off with our paper being accepted into the 30th ACM-SIAM Symposium on Discrete Algorithms (SODA19). 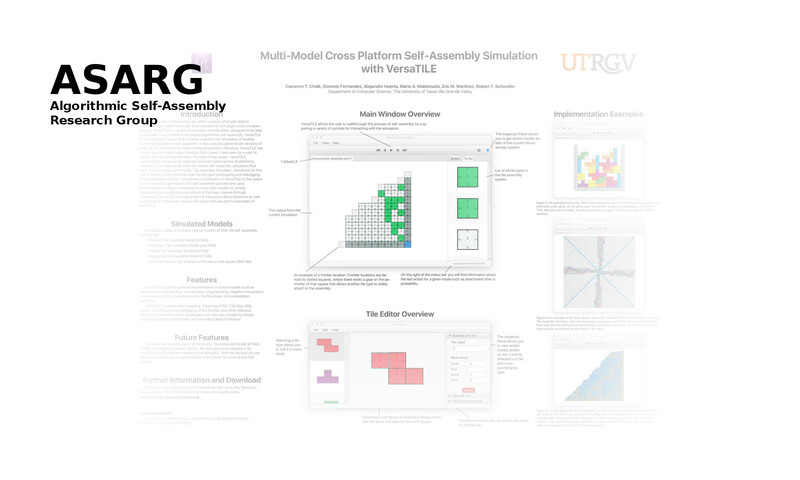 The paper is titled “Full Tilt: Universal Constructors for General Shapes with Uniform External Forces” with the authors Jose Balanza-Martinez, David Caballero, Angel A. Cantu, Luis Angel Garcia, Austin Luchsinger, Rene Reyes, Robert Schweller, and Tim Wylie.